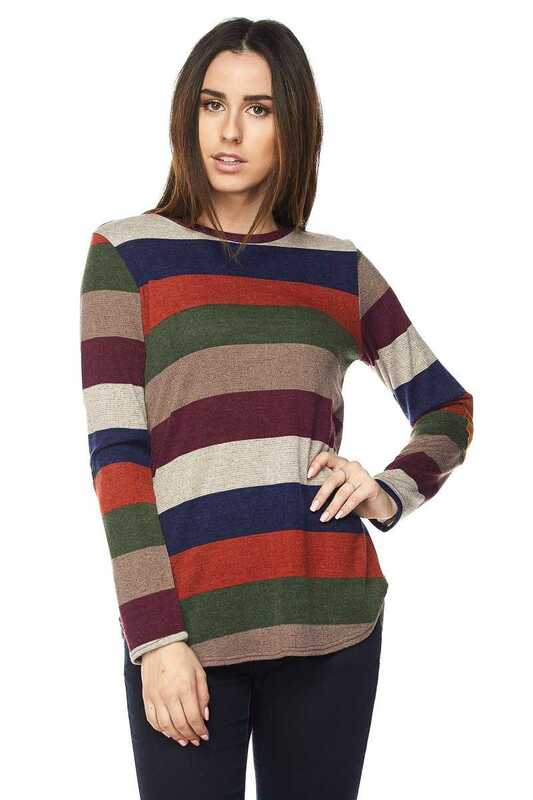 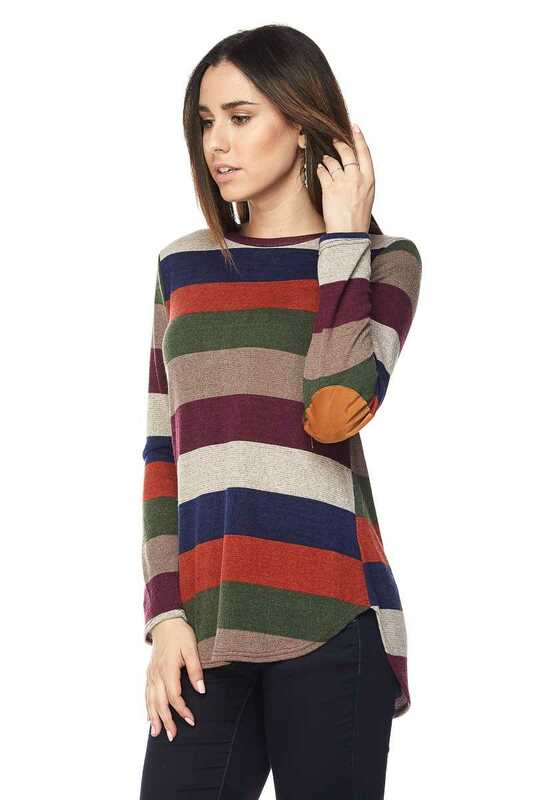 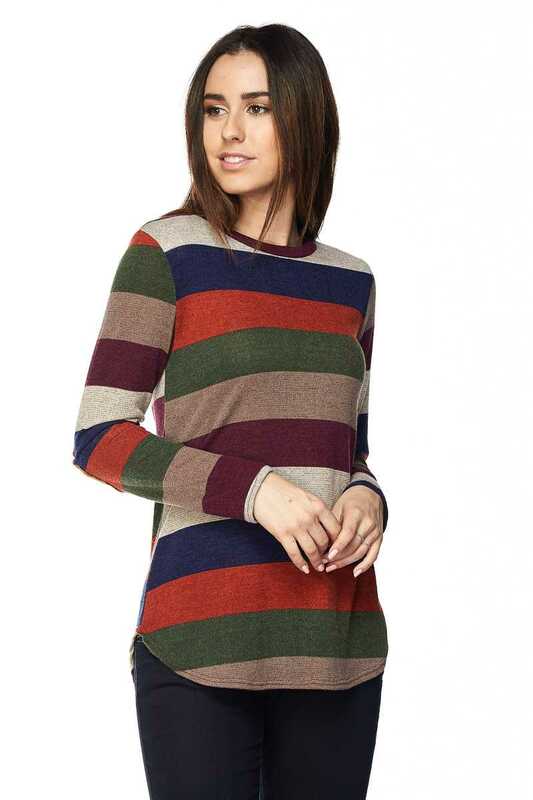 This multi color long sleeve top will be perfect for the fall season. 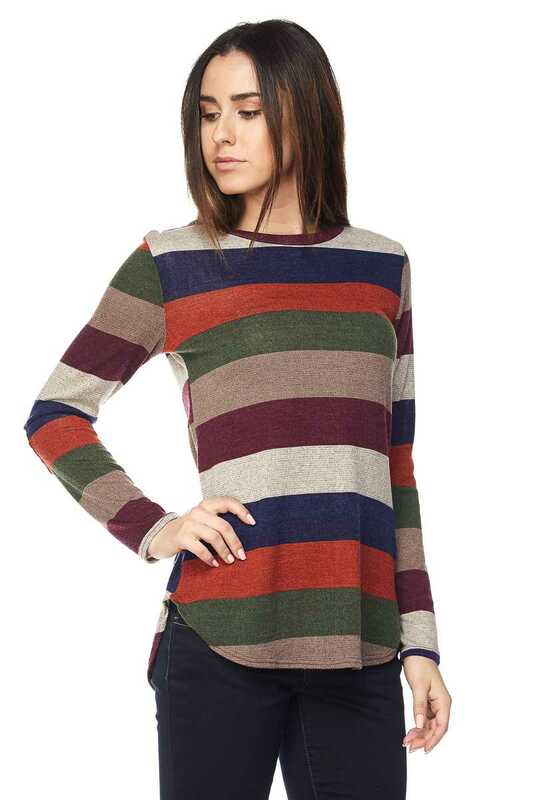 Adding this piece to any outfit will make it a more eye popping ensemble. 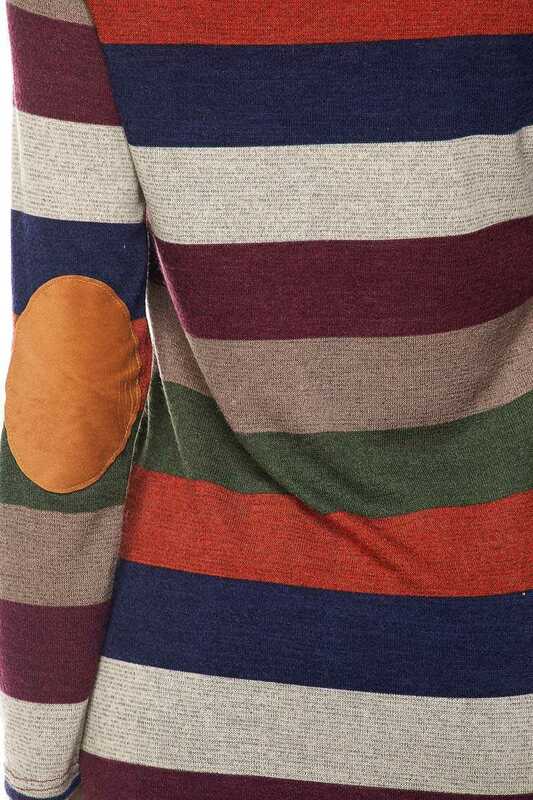 This top features a round neckline, rounded hemline finish, and suede patches on the elbows. 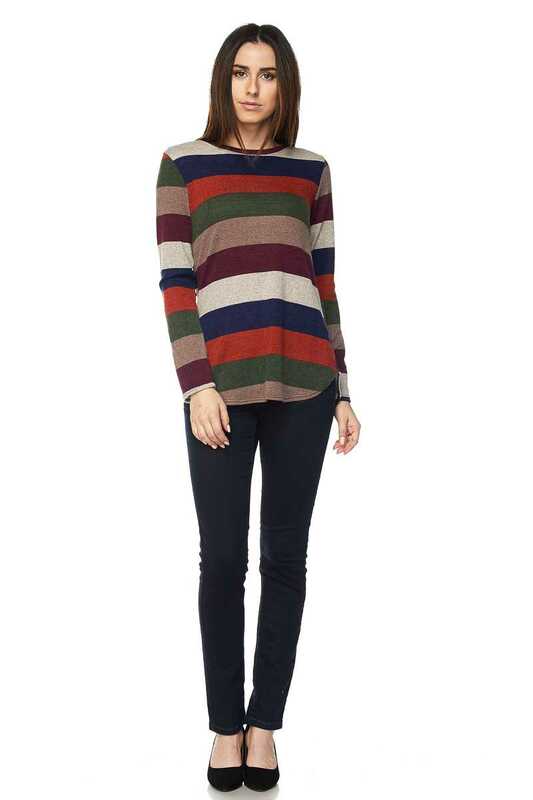 Pair it with a denim jeans and a pair of booties and you will be good to go. 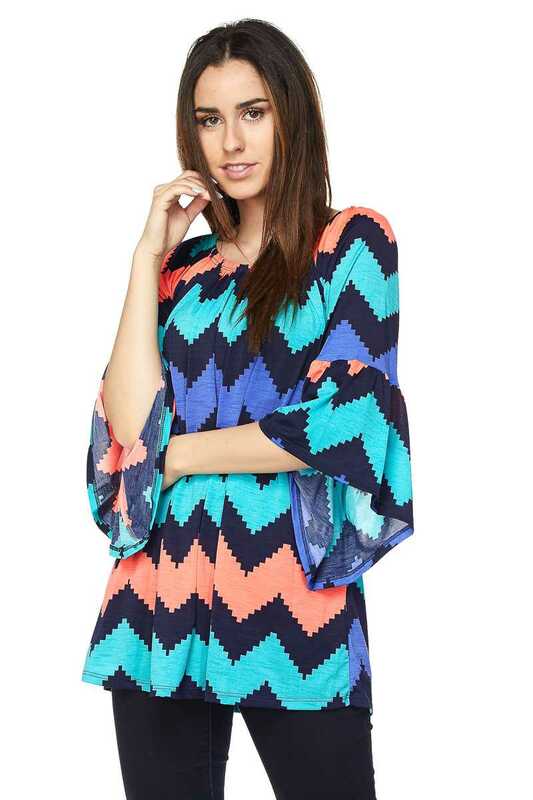 Pattern print slit wide sleeves shift dress. 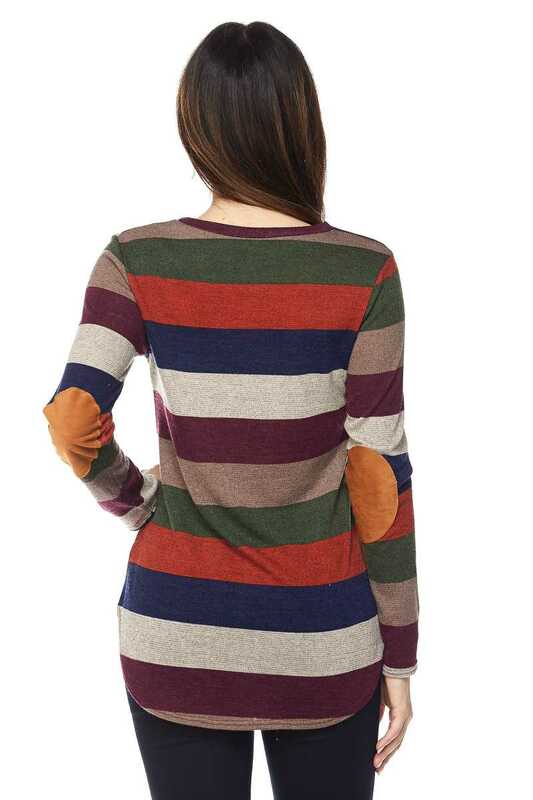 PLUS: Modal Rayon Rounded Hem Tunic Dress Top. 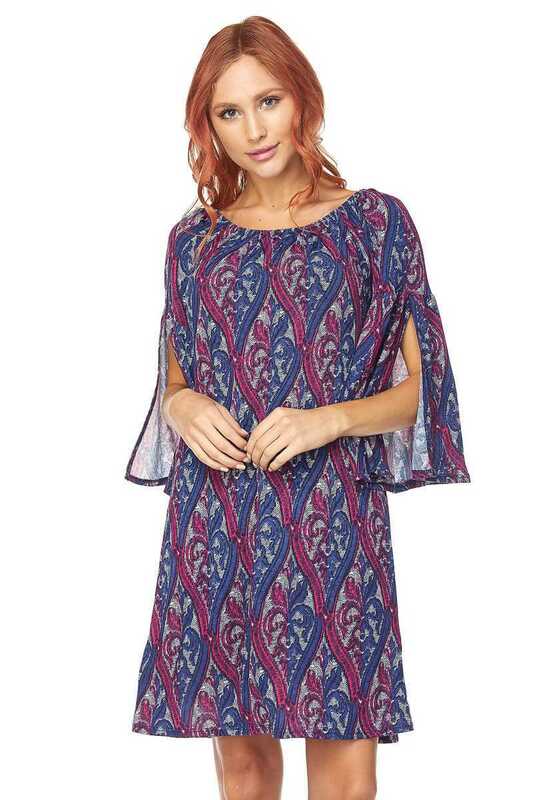 Modal Rayon Rounded Hem Tunic Dress Top.